SENORA MAY: Senora May’s music and voice undulates like the foothills, hollers, and benches of the Appalachian Mountains she calls home. A frugal lifestyle in rural Kentucky has contributed to her experience in and commitment to self-reliance, resiliency, hard work and independence. Senora is known for merging the realism of these intrinsic values with a soft, romantic approach at storytelling. Her songs are an optimistic yet gritty portfolio of her habitat, exhibiting the triumphs and tolls of hard loving in a hard culture. As listeners join the rapidly growing fanbase of Senora May, they are transported to a homestead in a simpler time of the mountain culture, while clinging to gender equality and other invaluable lessons taught by present day constraints of society. 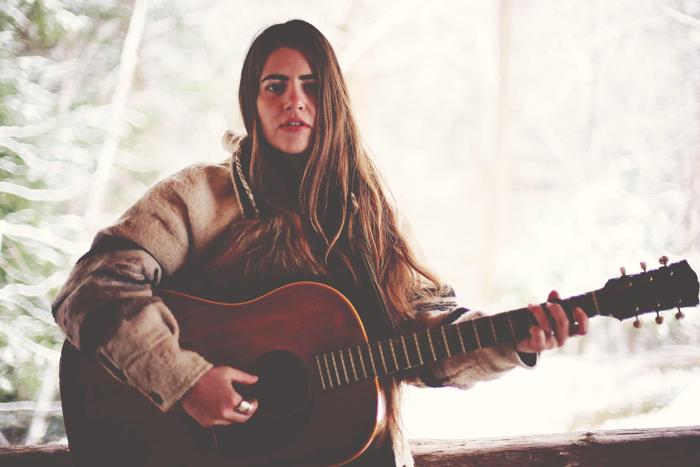 Her songs, like the artist herself, are adamant on maintaining the delicate balance of these forces for an honest translation of her experiences as a woman born unto the Appalachian Culture, a woman in love with nature’s cyclical offerings of life and death and the gettin’ by in between. Senora May lives in Estill County, Kentucky, home of Kickin’ It On The Creek, The Ravenna Railroad Festival, Pickin’ in the Park, Steam Engine Session Room, La Cabana, numerous Carhartt facilities, and one radioactive landfill.